Thanks to lucrative offers from a number of businesses you can now make hundreds – or even thousands – of pounds just by referring friends to sign up to services and companies. These ‘recommend a friend’ schemes often give both the referrer and the friend money off, vouchers or cash. Here we round up the best on offer at the moment. If you have been recommended a service you should always check it’s the cheapest and best provider for you, even with the referral bonus, otherwise you could end up paying more in the long term. Nationwide customers who recommend a friend can make £100 for themselves, with their friend getting £100 too. This is one of the more generous schemes, and you can recommend up to five friends in a year – making up to £500. Free finance app Chip doesn’t offer money for signing up friends, but instead the ability to boost the interest rate you earn on your savings. 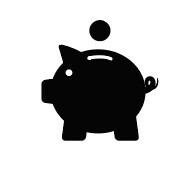 The app connects to your bank account and looks at how you spend, and then automatically saves money for you each month – by moving it from your current account to your Chip account. You earn 0% on the money in your Chip account unless you recommend a friend, upon which the rate you earn is boosted by 1 percentage point for each friend recommendation. You can increase your rate to 5% by recommending a maximum of five friends. Each recommend (and so 1 percentage point boost to your interest rate) lasts for a year. You can earn £50 with peer-to-peer lender Zopa. Both you and the friend get £50 if you recommend they sign up, and to be eligible they need to deposit £2,000. There’s no limit on the number of recommends. Online mortgage broker Habito offers £100 cash to both you and a friend when you refer someone. You must be a registered user of Habito in order to generate a referral link. You’ll both get your £100 once your friend completes their mortgage application. The reward is unlimited, so you can recommend as many people as you like. AJ Bell Youinvest offers £100 to anyone who recommends a friend to sign up to the investment platform. The friend must be new to AJ Bell Youinvest and open a self-invested personal pension (SIPP) or ISA account with £10,000 or more. You can recommend an unlimited number of people, so there’s no cap on how much you can earn. Smaller, less-well-known energy companies often offer decent bonuses for recommending a friend as they seek to attract more customers. Currently small green-energy provider Bulb is offering £50 to both you and a friend when you refer them. Crucially, this referral bonus is uncapped, so you potentially earn hundreds – Bulb even claims one customer has made more than £100,000 from referring new customers. OVO Energy offers a similar deal, but will give you and your friend £25 each if you recommend they sign up. Rather than being cash, the money comes in your choice of M&S, John Lewis or Amazon gift cards. First Utility pays a more generous £50 each to both the referrer and the friend, and you can pick between Amazon, John Lewis and Tesco vouchers. Sky offers one of the most generous referral schemes in the entertainment space – with you and a friend getting a £100 Majestic Wine gift card when they sign up. You need to send your friend a referral code and once their first month’s bill has been paid you will be sent your gift card. The friend must subscribe to Sky TV, with a minimum cost of £20 a month, and live at a different UK address to you to be eligible. There’s no limit on the number of friends you can refer. Virgin Media is less generous but you get a different reward rather than a gift card. It will give both you and a friend £50 each off your bill when you refer someone. It’s not open to Virgin Mobile customers. Your friend must not have been a Virgin Media customer in the past six months, and must sign up to at least a 12-month broadband, TV or home phone contract. You can make up to 25 referrals in any 30-day period. Both Three Mobile and BT Mobile offer a £25 Amazon gift card for both you and your friend when they sign up. With Three they must sign up to a 12-month SIM-only plan or a 24-month Pay Monthly plan. 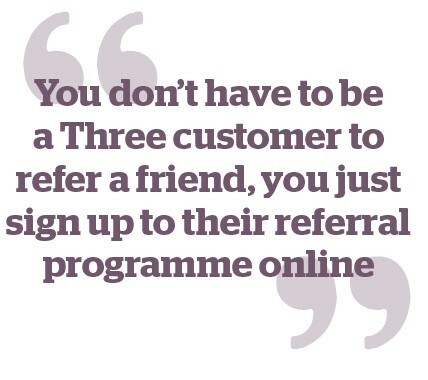 In a unique twist, you don’t actually have to be a Three customer to refer a friend, you just sign up to their referral programme online. With BT you do need to be a customer to recommend someone, and they can be an existing BT customer, as long as they don’t have a BT Mobile account.